So, look what I did with it. HERE to visit my blog…the post will look better (you can also always click on the post title, too). Then, I went to one of my favorite places…Home Goods. this pillow would be fun in a teen’s room. It has a soft feather insert. 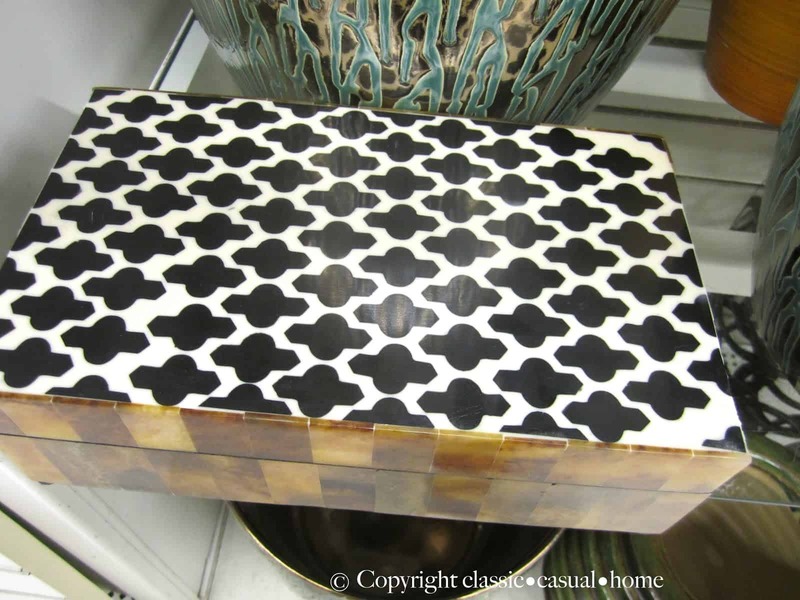 Love this bone inlay box…but what’s up with the right corners? 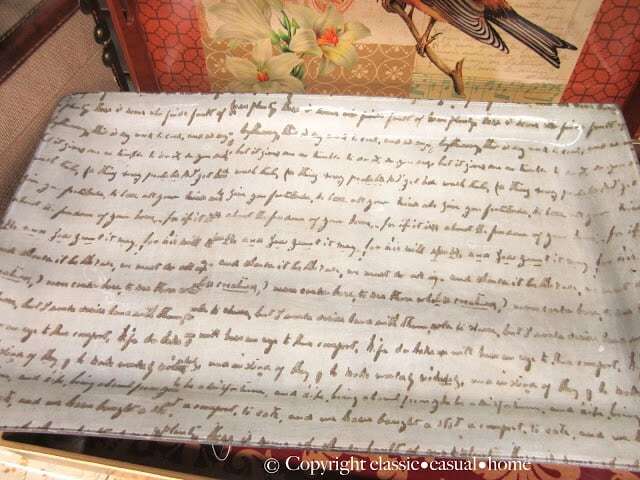 This reminds me of a John Derian plate but it’s only $12…it has a French script on it. I wanted it…but, I restrained myself. Trays are always useful. These are lacquered with a shell inlay. 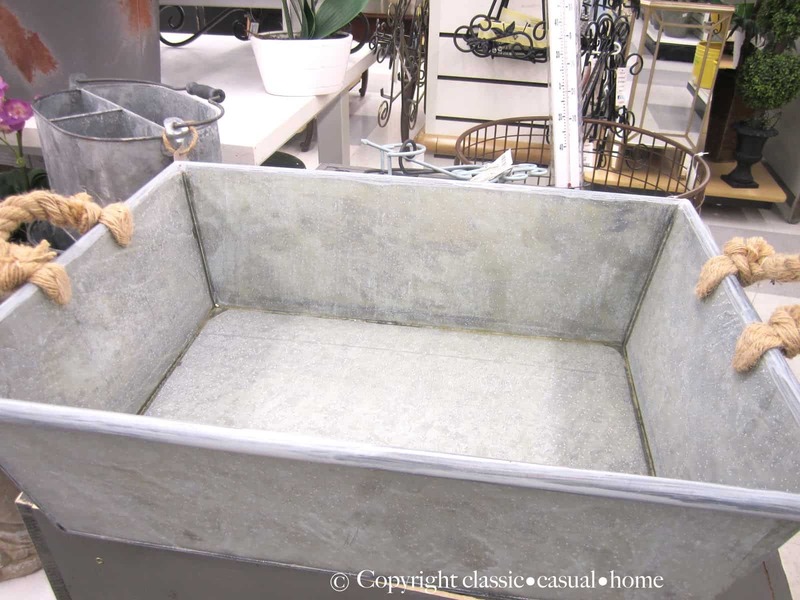 Love these extra large zinc containers. makes even week night dinners special. These bath products look and smell lovely. I bought the body wash for the guest bath. 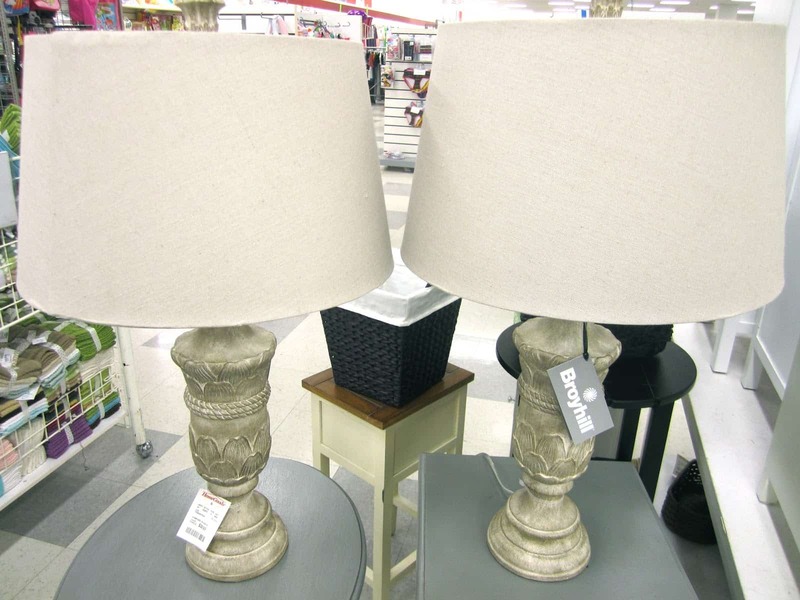 I sent a photo of these wooden lamps with linen shades to my sister. I thought they would look nice in her bedroom…she gave me the thumbs up to purchase them. Only $39.99 each. I like Home Goods return policy, so if they don’t work out, it’s no problem. 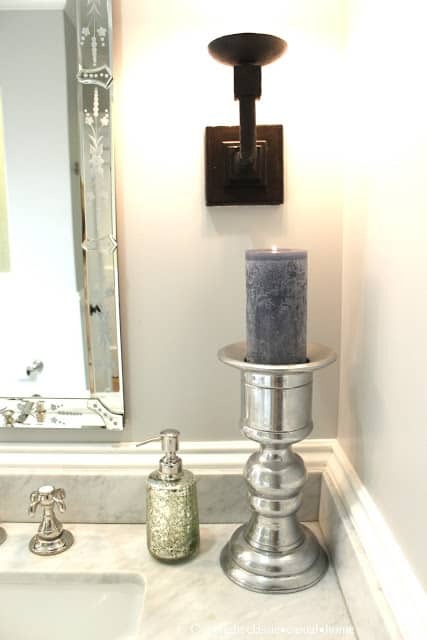 And I bought this new mercury glass soap dispenser below to replace a broken one. And I am still wondering which neighbor left the empty Patrón bottle in our yard? (I’d like a couple more, please). Great use of an empty booze bottle. I did that with a Bombay Sapphire Gin bottle and my youngest took a photo and shared it on instagram…he and his buddies thought it was wild that a mother would do that with an empty bottle… I hope whoever left you the empty decides to leave you more! My husband wonders the same thing! Then again I don't understand how he can stay in Best Buy so long. LOL! I enjoyed your finds. 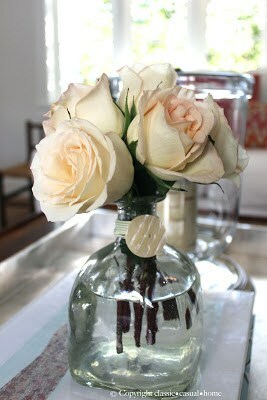 Such a cute idea to use the bottle as a vase. 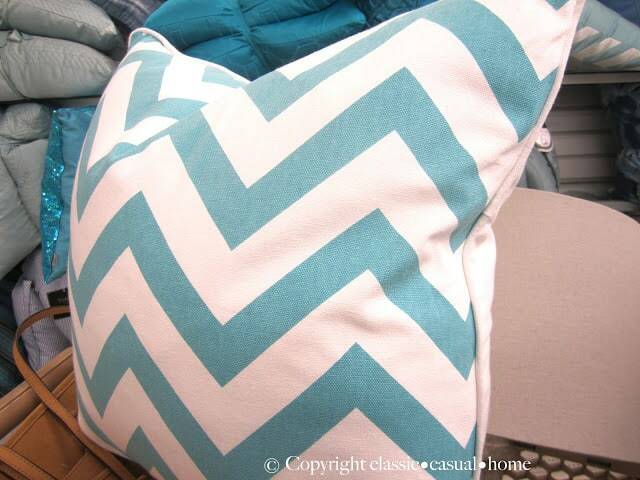 Wow, so many wonderful goodies at Home Goods…I wish we had one close by!!! I gotta say the booze bottle does make a wonderful vase!!!! LOL I'll be looking at those bottles left in my yard in a whole new way now!!! I just love Homegoods! And your tequila bottle looks so pretty. Maybe next time they can leave you a full bottle! Wish there was a Home Goods here. I always see everyone buying the best things from that store! Looks like you're pillow planning ahead. Love all the goodies from HomeGoods my husband asks me the same question. I say when you're married to an Interior designer every opportunity for a hunt and gather expedition just may solve a design situation. It's a good thing…lol! Love how you repurposed the tequila bottle in such a beautiful display. 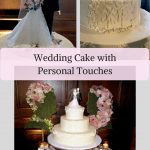 Mary Ann – Your time is spent as Photo Journalist not JUST shopping! And if you are like me there are a few minutes spent styling the shots too. I have been collecting our Patron bottles for quite awhile and have 5 regular size. The Costco super size is still full. You're welcome to borrow them while your collection grows. 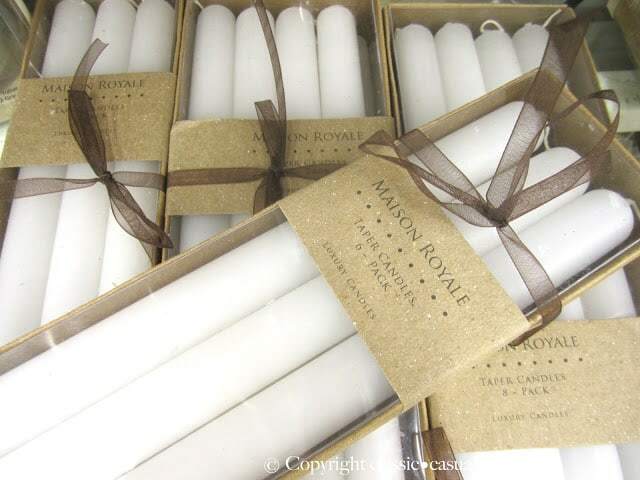 If you cut a section out of the back of them and put a short , thick candle inside, they make awesome luminarias/farolitos for the garden. You find the best things at Homegoods! I love your finds, that velvet cut pillow is stunning. And that conversation with your son….so familiar. Been there and done that. Always fun to stop by…..
Okay…I love that bottle…why have I never thought to save one? See, I guess you just live in a much more fun neighborhood than me…and so you find things right on your door step. Well I wish my neighbors were considerate enough to leave empty liquor bottles in my driveway! That makes a very cute vase! Hmmm….maybe I'll have to start drinking tequilla. I think your Home Goods is better than the ones near me (and by "near me" I mean pretty far away because there isn't one near me). Those are some nice things you found…cute lamps and great zinc containers. Very fun. What great finds – I so love a Home Goods, and who would have thought that tequila would make such a great vase!! Love that bottle turned into a vase! Who wants to have a party? I love the script tray. I'll have to check out my HG and see if they have it here. Great finds! Love everything you picked! I'm serving margaritas this weekend, so I can copy your idea for the empty Patron bottle 🙂 And, a half hour in HG??? I could spend 2 hours a day there. Wish Home Goods shopper was a legit profession. I'd be very successful. I can easily spend an hour or two in Home Goods and not buy a thing! Love that store and it's return policy. I just wish they had a frequent shopper card. I NEED that first pillow? Do you remember how much it was? I might have to hit up your HomeGoods tomorrow! I don't remember the price…hope it's still there…on Harbor Blvd. 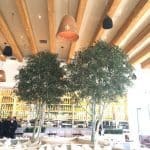 In Costa Mesa. Mary Ann you are just like me! Homegoods is less than a mile by my house! When I have time (not so much lately!) there is nothing more fun than roaming the isles! You certainly saw some great stuff!! What a fun store. I haven't been since Christmas, looks like its time for a visit. The Patron bottle looks great with the roses and the button band. You cant beat home-Goods….I to can spend hours in there. Your bottle looks so pretty with the flowers look so pretty! Hey….I spent a good hour in my local Home Goods yesterday! They're getting some great things in, now that they've finished inventory! I saw a similar inlaid bone box with a different design on the top that I wanted for my remote controls, but it was a humidifier for cigars and wasn't long enough. Love what you did with the Patron bottle, but since I'm not a drinker, did you add the cute button embellishment on the neck or does that come on the bottle? Anyway, I think I need to make a trip down to your Home Goods…bet it gets better stuff than our!! I added the button and string…come on down, Gail…let's go together! Ha, I wonder if the flowers would look good in a beer can? That's what I find near my home. I went to Homegoods yesterday, just because. I think I was there an hour. I wish the buyers would give us the same items you get in CA. Ha! You got my attention with the title of this post! (I enjoy a good margarita every now and then:) What a great idea for your pretty flowers! We finally have a Home Goods near by.. so excited about going in to check it out! You clever girl! I love saving bottles for bottle tablescapes…but that tequila bottle by itself makes a great vase! I love it! I've been restraining myself from going to Home Goods but this might give me the itch to visit this weekend. The tequila story is funny! Ooooh I love tequila. I think one of your neighbors must know your flair for decorating and thought that bottle would look pretty in your house! There are some really pretty liquor bottles out there. My mother (not much of a drinker at all) cracked us all up last summer when she collected all the Bud Light cobalt blue bottles from a family party to use for decorating. We were all like – noooo Mum…you can't….they still look beer bottles….but she put her hot pink peonies in them and I have to admit they looked beautiful by the window! 🙂 Still makes me laugh. What a gracious neighbor 🙂 I want one, too. Love your picks at Home Goods. I've never been to one……how embarrassing 🙁 I'll probably spend all day and want everything. 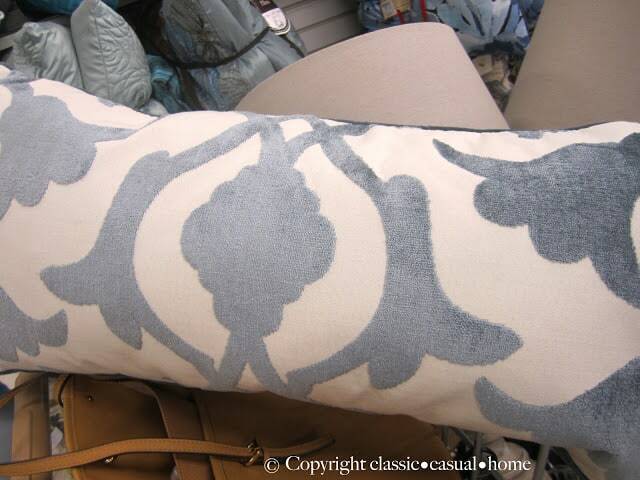 I found the first pillow in HG – Marietta, GA. Its $29.99. Brought it home for a try. 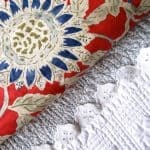 Looks good on my guest bed with the 2 cream velvet European square pillows behind it! Mary Ann, it was the 30 minutes of silence that cracked me up. Have had similar conversations with our 20 year old! Karen L.
The Patron bottle story – so funny! 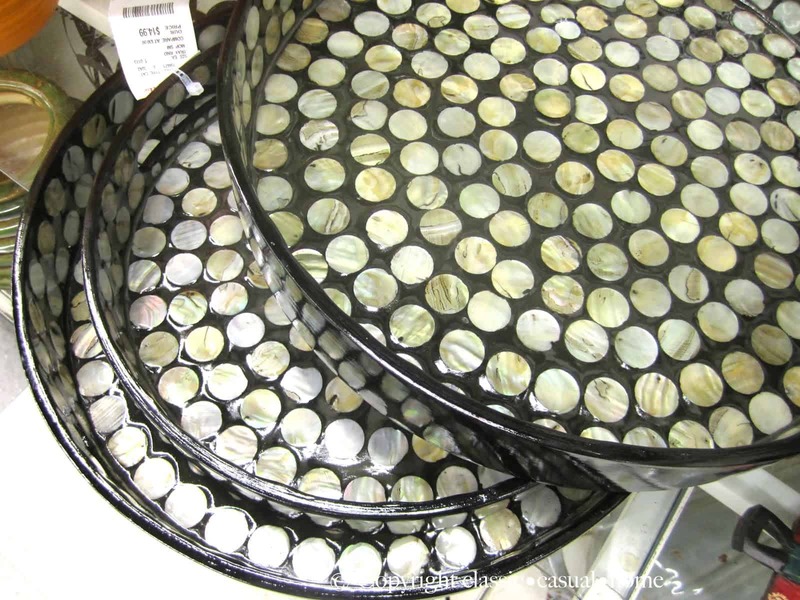 I have never been to a Home Goods store – never even seen one, but as soon as I do, I'm there. Love everything you bought! Your husband should know you could spend several hours in Home Goods! Wish we had one. I'm looking forward to readying more….I'm your latest follower.